Long before Alexander Hamilton inspired a hit Broadway musical, he started a bank. In 1784, just after the end of the Revolutionary War, Hamilton was the founding father of what is today the Bank of New York Mellon—the oldest company on this year’s Fortune 500, and one of four that can trace their roots to the 18th century. The oldest member of the household products industry, Colgate-Palmolive, dates to 1806. 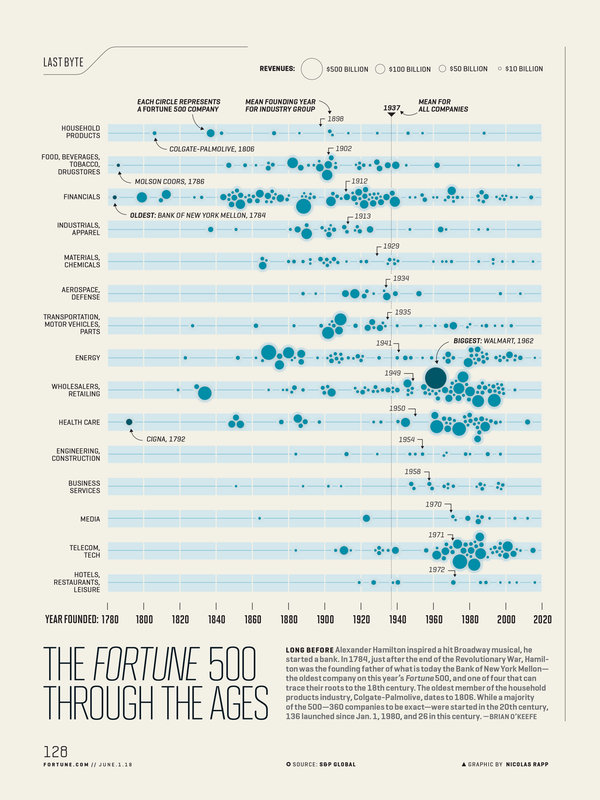 While a majority of the 500—360 companies to be exact—were started in the 20th century, 136 launched since Jan. 1, 1980, and 26 in this century.